It’s 3:56 a.m. as Fr. Glenn O’Connor weaves his SUV through the darkened streets of Indianapolis. On most Sundays Fr. 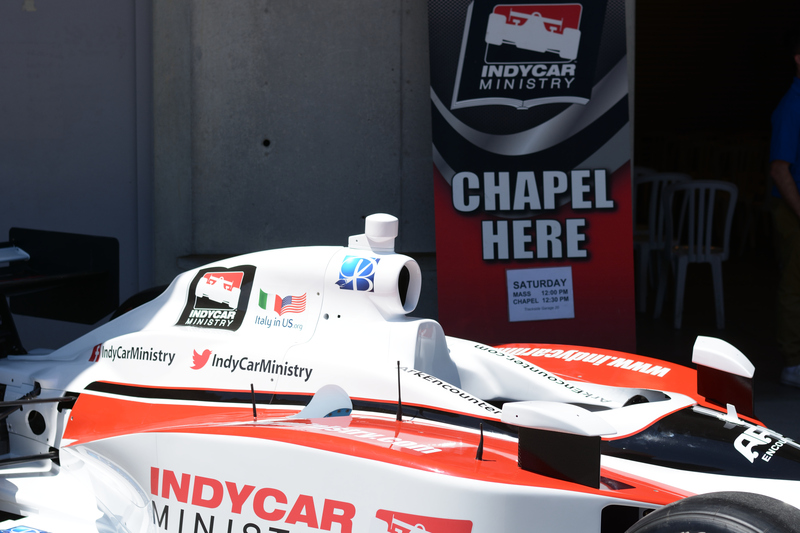 Glenn tends to his 1,400 families as pastor of St. Susanna Parish in nearby Plainfield, Indiana, but on this day, the fourth Sunday in May 2017, he is taking his ministry to one of the meccas of motorsports — the Indianapolis Motor Speedway — for the 101st running of the Indianapolis 500. Fr. 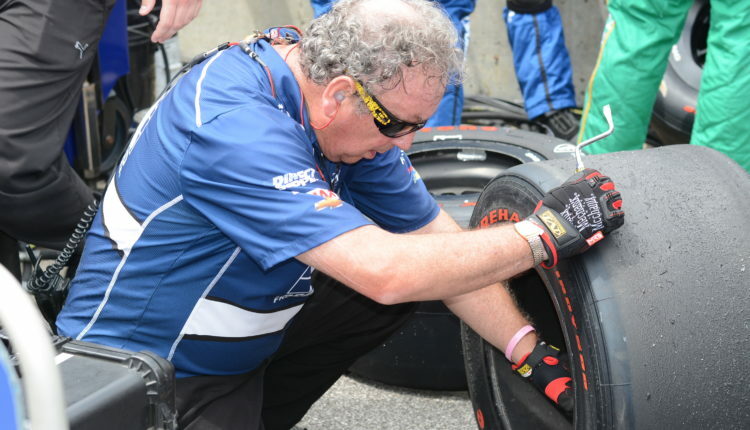 Glenn has been a fixture at the race for 42 years. By noon, Fr. 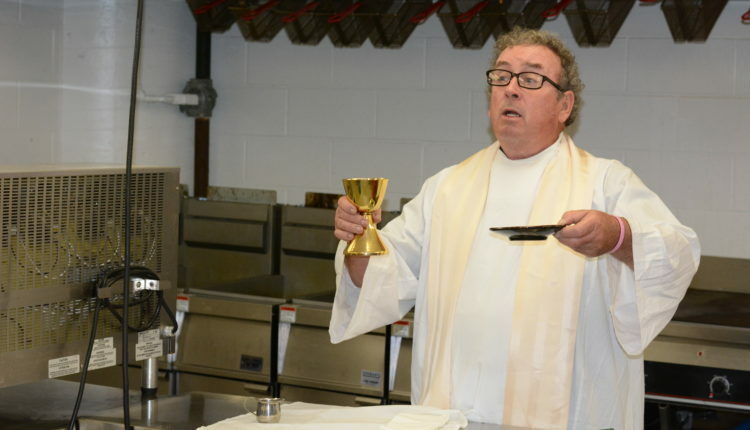 Glenn will have celebrated three Masses, taken Communion to some of the biggest stars in IndyCar racing, been interviewed live on a local morning newscast, posed for photos, and shaken dozens of hands. He’ll have checked that everything is in place for the huge Mass in the Speedway infield. After all, pre-race Catholic revelers don’t just party. They also pray. Clerical duties complete, he will trade his vestments for a racing team uniform to start the second part of his workday. A member of driver J.R. Hildebrand’s team, Fr. 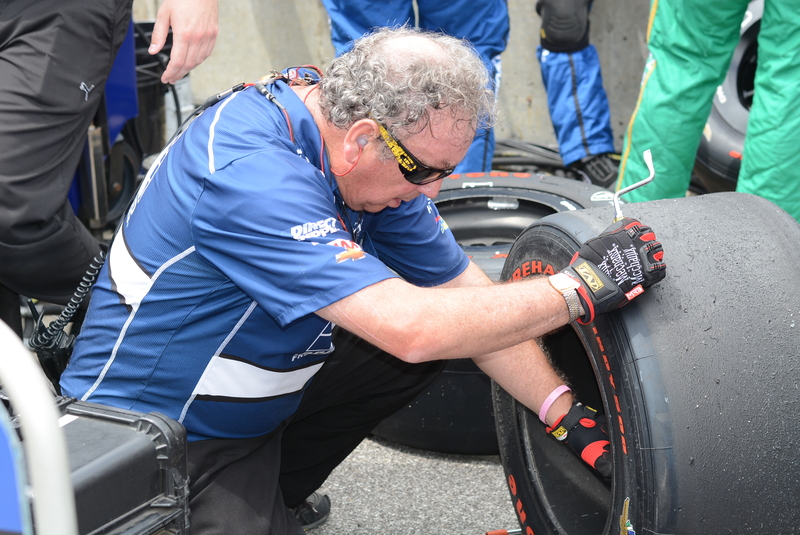 Glenn works in the pits during the race, checking the tires used on Hildebrand’s race car. After the checkered flag has dropped, he will spend another two hours helping the team pack up for a trip to Detroit and the next race. As the first rays of sunlight peek out above the famous Pagoda overlooking the Speedway’s front straightaway, Fr. 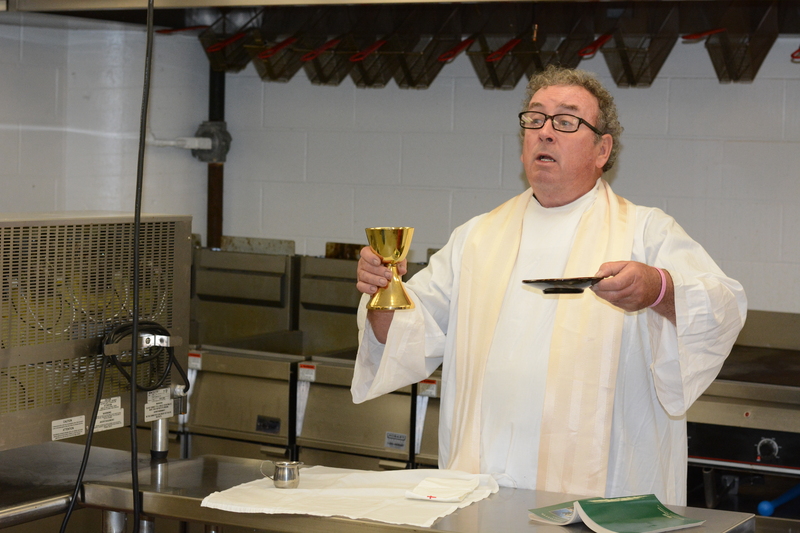 Glenn is in a concession stand celebrating Mass for the parishioners of St. Ann and St. Joseph parishes in Indianapolis, where he spent 22 years as either pastor or administrator. The parishioners work the stand as a parish fundraiser. A stainless steel counter in front of a flattop griddle is the altar. “Welcome to the greatest spectacle in racing,” Fr. Glenn bellows, quoting the famous phrase penned in 1955 by radio copywriter Alice Greene. There would be two more Masses celebrated in a garage for crew members, drivers, and the general public. Fr. Glenn wears his unique black-and-white checked stole for the liturgies. Following the Masses, he walks through Gasoline Alley greeting old friends. 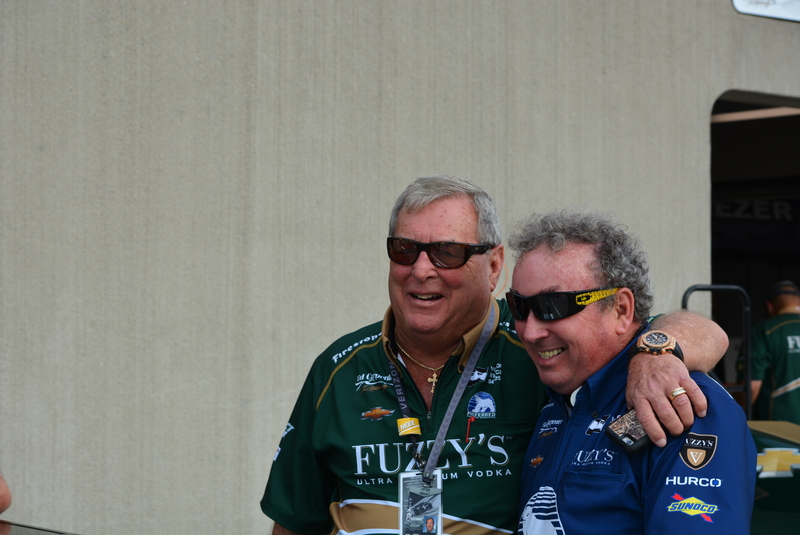 He hugs former Indy driver Pancho Carter and chats with golfing legend and racing team owner Fuzzy Zoeller. The Unsers, the Foyts, the Andrettis, and the Rahals — Fr. Glenn knows them all. 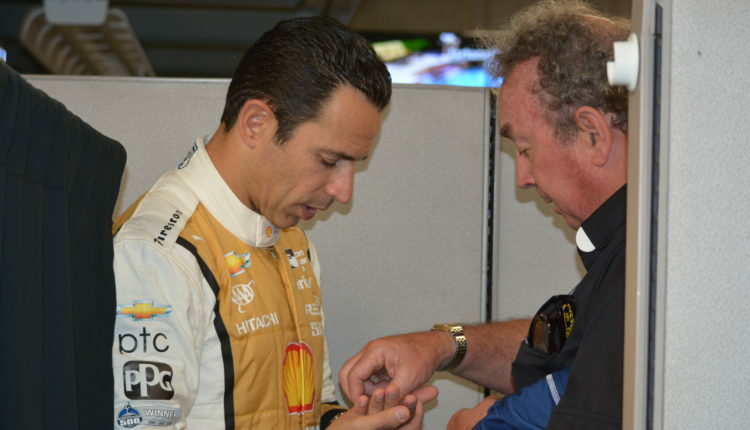 In one of the garages, driver Hélio Castroneves is waiting for him. The two stand face-to-face, as Fr. 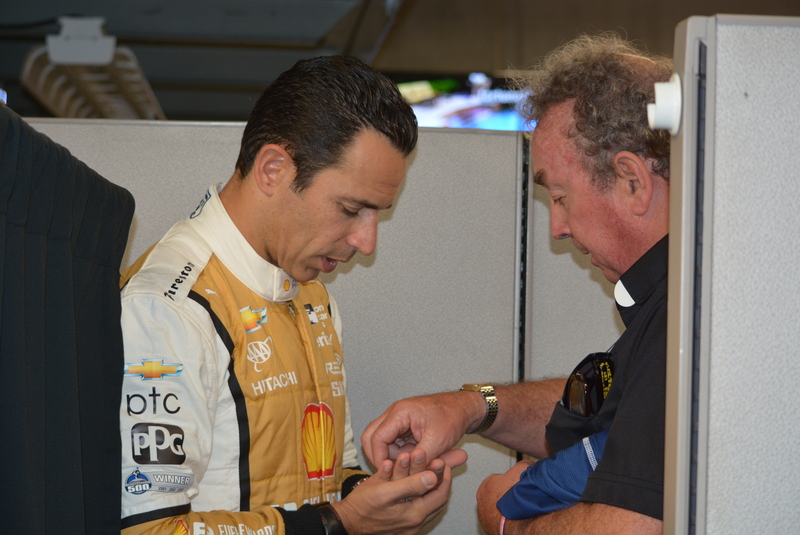 Glenn blesses the three-time Indianapolis 500 winner and offers him the Blessed Sacrament. It’s a quiet moment in the busyness of race day. Raised in Indianapolis, the oldest of eight children, Fr. 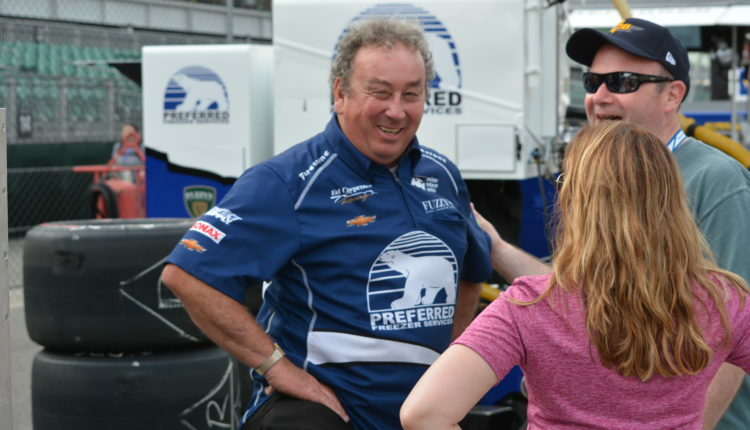 Glenn is the ultimate Indy insider. His dad spent about eight years studying at Saint Meinrad Seminary in Indiana. As a result, there were always priests around the O’Connor household. After graduating from the then-Latin School of Indianapolis, he didn’t feel a call to priesthood. He attended the local community college and worked in construction. A year at Ball State University in Muncie, Indiana, followed. Still, with God nudging him, eventually young Glenn went to Saint Meinrad. Since his ordination in 1980, he has ministered at a half-dozen parishes and serves as the chaplain of the Indianapolis International Airport. And he’s left a lasting impact at every one. As an associate at St. Simon Parish, he helped wipe out a debt with raffles. 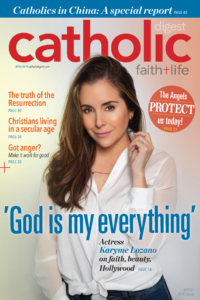 In his first pastorate at St. Philip Neri in the Indianapolis inner city, he bucked the archdiocesan hierarchy to save the parish school, which today is thriving. At current sister parishes St. Joseph and St. Ann, Fr. Glenn was instrumental in establishing Seeds of Hope, a halfway house for women. It’s a ministry that can sometimes be difficult. But he also recalls another woman, a foul-mouthed heroin user with a felony record with whom he once got into a shouting match. She left the property, but returned to finish the program. She has since earned a college degree, has a good full-time job, and helps others. Back at St. Susanna, Fr. Glenn drops in for a quick visit at the parish school, greeting students by first name. He consults with his staff before preparing for a funeral. His laugh reverberates around the church’s gathering space. The Indianapolis Motor Speedway towers over the city, literally and figuratively. The massive grandstands, which first appeared in 1909, dominate the aptly named Indianapolis enclave of Speedway, Indiana. The Speedway is the largest sporting venue in the world, and upward of 350,000 people attend the Indianapolis 500 each year. Millions more watch it on network television. Always a racing fan, Fr. Glenn was an undergraduate seminarian when he became involved in the sport. 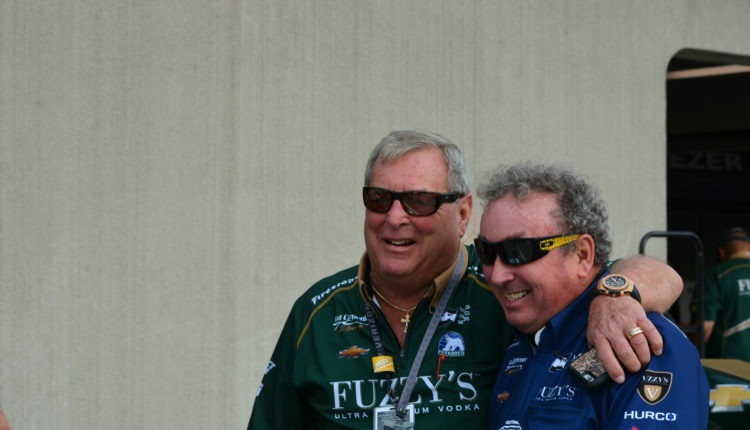 In 1975, his friend — now brother-in-law — worked for driver Eldon Rasmussen’s racing team. Fr. 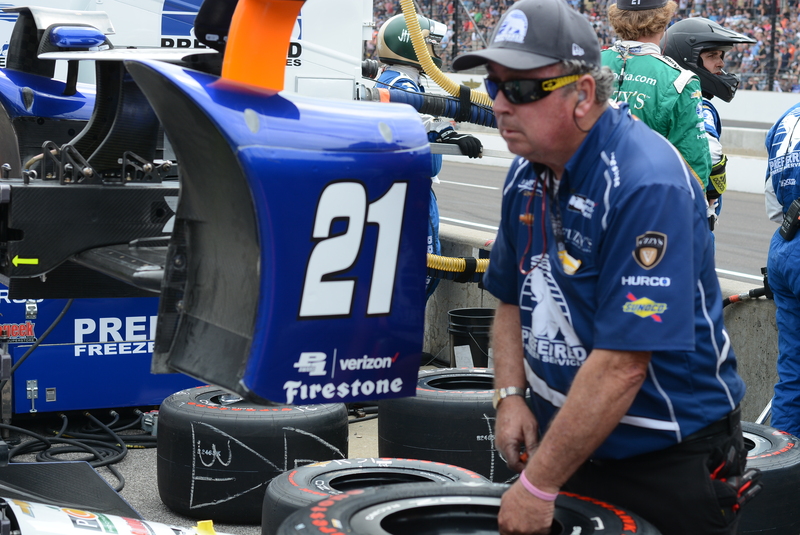 Glenn was asked to help rebuild Rasmussen’s car after it was damaged attempting to qualify for that year’s Indianapolis 500. He finished that season with Rasmussen and continued working on race teams during the summers. Fr. Glenn got his first win in 1981 at the Michigan 500 as a member of Carter’s team. Carter finished third in the 1982 Indianapolis 500, the closest Fr. Glenn has come to a win at the Speedway. After ordination, he combined his vocation with his avocation. In addition to working as a part-time mechanic on racing teams, he celebrated Mass in hotel rooms and administered the sacraments at the races. For more than 20 years, Fr. 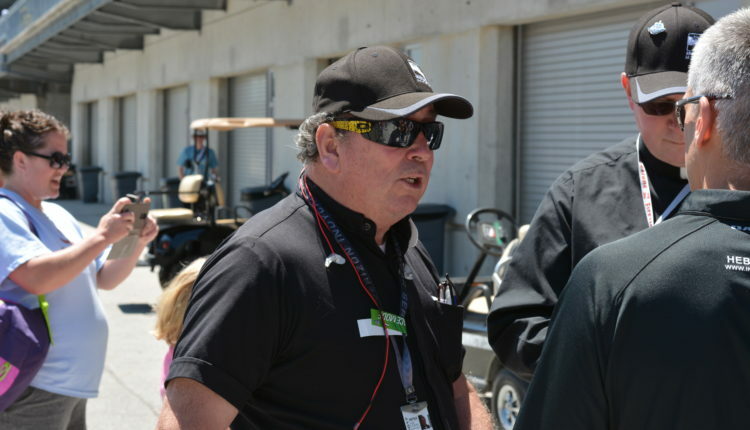 Glenn has been active in IndyCar Ministry, an organization that provides spiritual care to drivers and teams on and off the track. Fr. 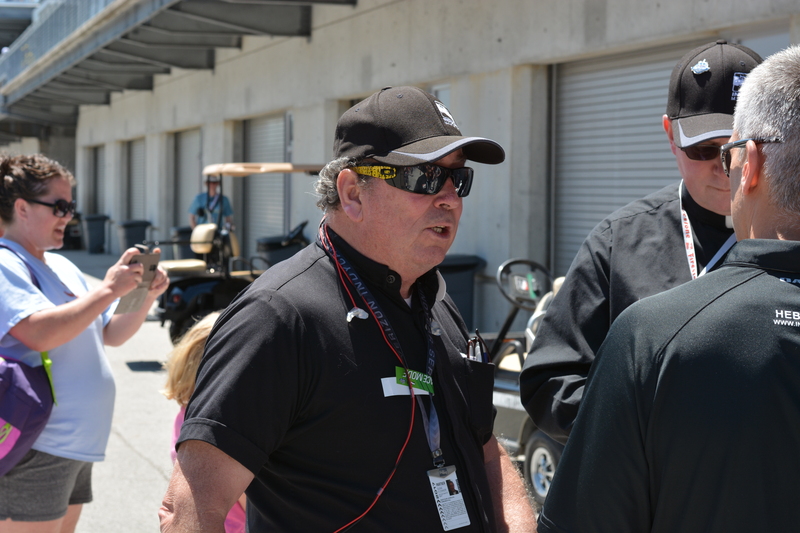 Glenn is the ministry’s Catholic presence, attending several races each year and coordinating priests for other IndyCar events. 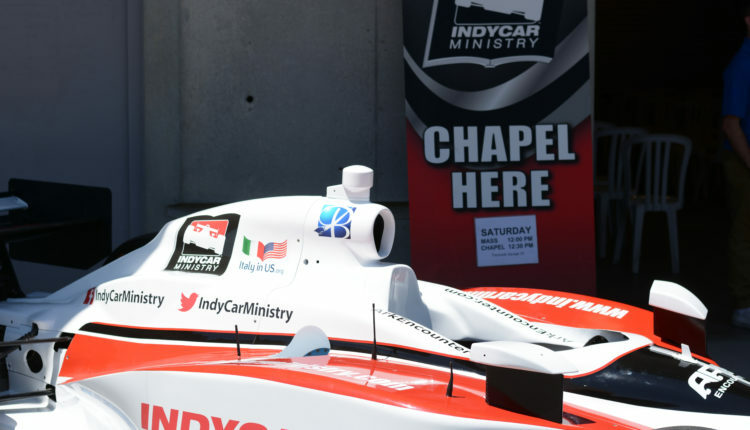 IndyCar Ministry dates back to the 1970s when Fr. 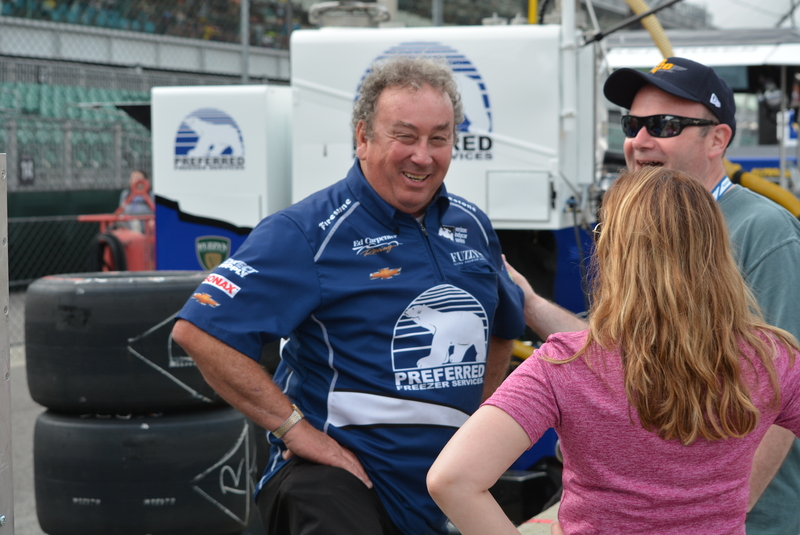 Phil de Rea began celebrating Masses at races for the Andretti family. When accidents occur, a chaplain accompanies the injured to the hospital and ministers to the families. Pain and grief are part of racing, and Fr. Glenn knows this well. In his homily during a Mass at the IZOD IndyCar World Championship in Las Vegas in October 2011, Fr. Glenn ironically spoke of how death could happen any time. “It could happen today,” he said. On the 11th lap of that race, popular driver Dan Wheldon was injured in a crash. Fr. 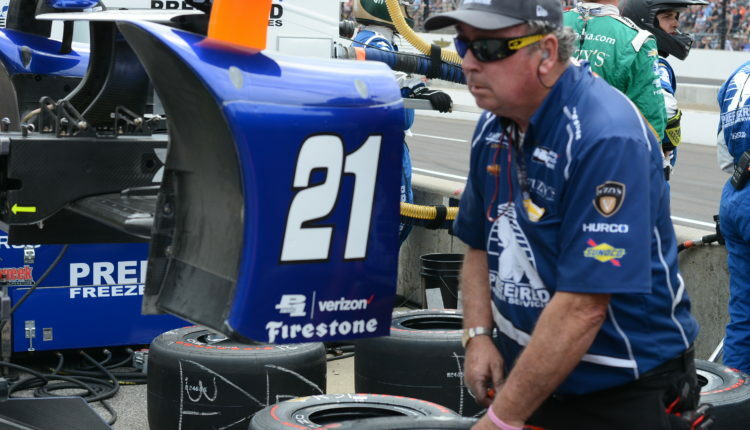 Glenn accompanied the two-time Indianapolis 500 winner to the hospital. Wheldon, who won the Indianapolis 500 earlier that year and in 2005, later died there. In October 2003 driver Tony Renna, 26, a Catholic, was severely injured during a tire test at the Speedway. Renna and his fiancée were scheduled to marry the following month, and Fr. Glenn had worked with the couple on their marriage preparation. Because he knew the family, Fr. Glenn was asked to administer Anointing of the Sick to Renna, who later died. The 101st running of the Indianapolis 500 is winding down. The sky is overcast. A thunderstorm is brewing. Out on the 2.5-mile track, Castroneves is fighting hard to become fourth driver to win the race four times. During the final laps of the 200-lap race, Takuma Sato of Japan passes Castroneves. They battle toward the finish, but the Catholic Brazilian finishes second. Sato becomes the first Asian to win at the Speedway. As the cars rush by at more than 200 mph, Fr. 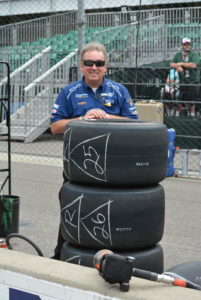 Glenn is busy toting four large tires on a cart for inspection. He glances at the scoring pylon. Despite several crashes during the race, no one was injured. Fr. Glenn never tires of it. The thrill. The speed. The excitement. Ninety minutes after the checkered flag has dropped, the more than 300,000 spectators make their way out of the Speedway and the garages are nearly empty. Fr. Glenn hustles to his car as thunder echoes. He heads for his rectory at St. Susanna, thankful that everyone is going home safely. DAVE ECK is a freelance writer and former newspaper editor. He and his family are active parishioners at Our Lady of Sorrows in Monroe, Ohio.